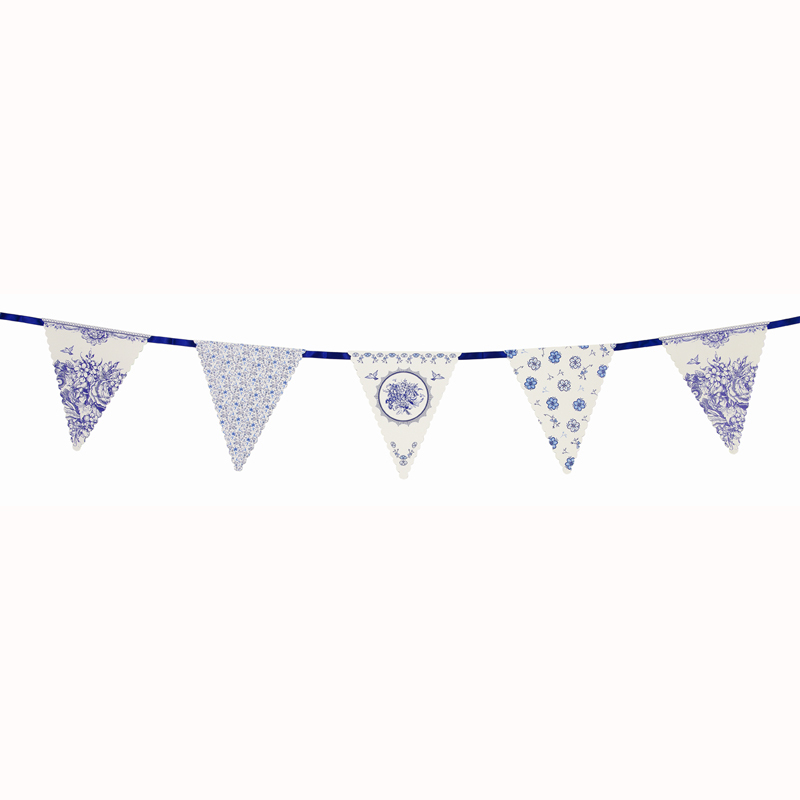 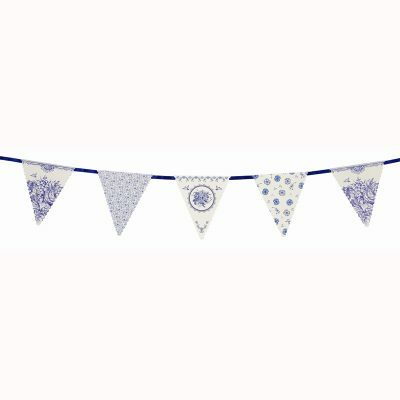 SKU: TT-PPB-BUNTING Categories: Light Blue, Dark Blue, Party Porcelain Blue, Bunting Flags, Vintage China, Vintage Tea Party, Wedding Decorations, ON SALE! 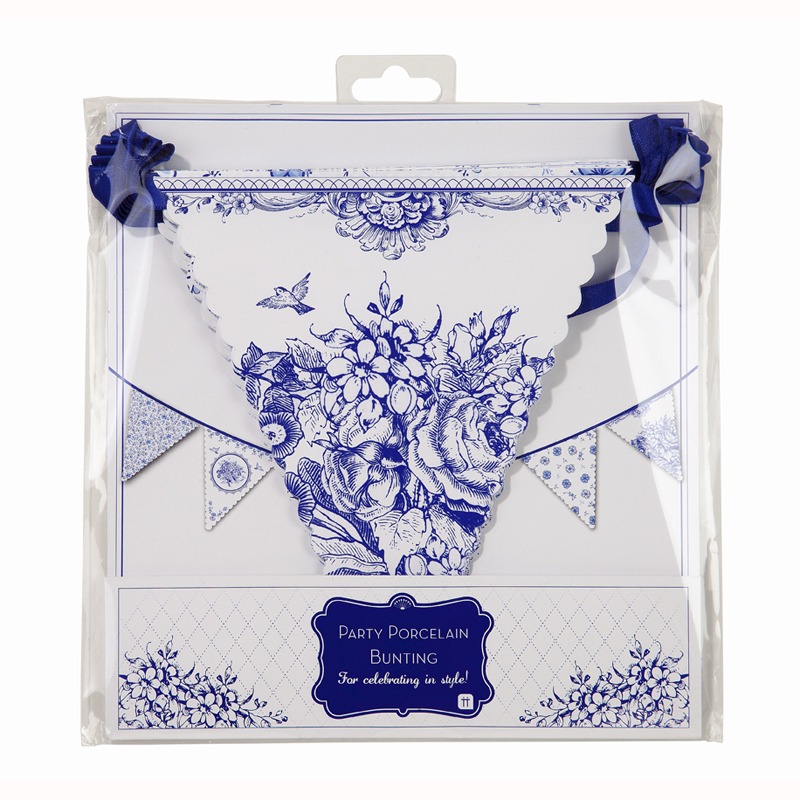 This pretty and sophisticated paper Bunting ~ Porcelain Blue is a charming option for weddings and other special occasions. 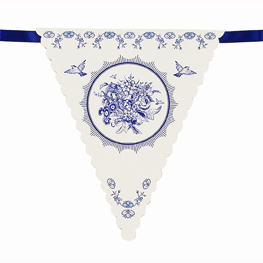 With lovely blue and white floral designs, it will add the perfect finishing touch to your next event.